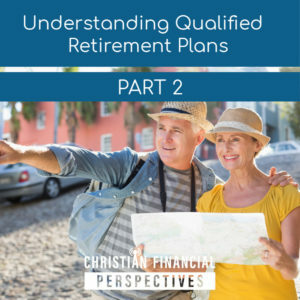 Check out Part II of our Understanding Qualified Retirement Plans series. Individual Retirement Plans (contributory plans) are discussed before getting into Employer Sponsored Contributory Plans for 401k’s, 403b’s 457 and Thrift savings plans. Lastly, small business owner plans are discussed, including SEP and SIMPLE IRA plans.